The perfect hat for you is not just a hat that matches an outfit. Your stature, your shape, even your body language influences the perfect headpiece for you. From classic to avant-garde, bespoke millinery is wearable art. It is also more accessible than you might think. 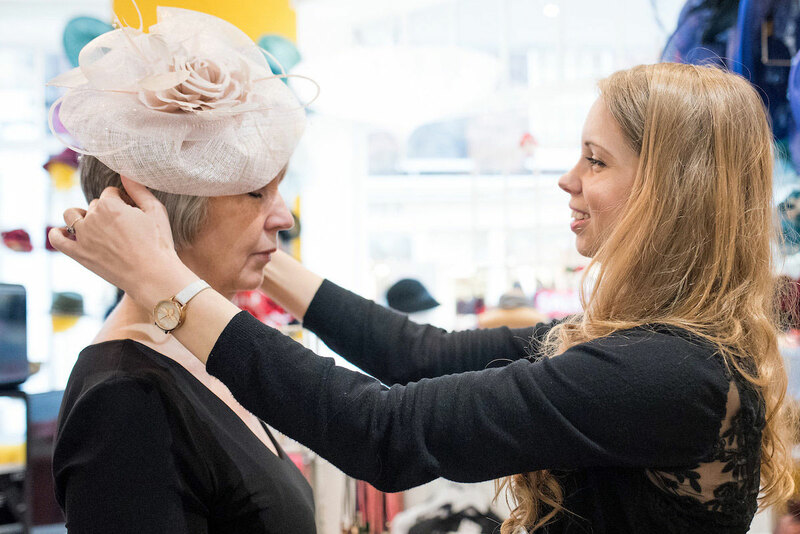 Whether it’s your first hat or your fiftieth, we invite you to make an appointment to receive the most focused attention and care. It’s a lot of fun and we love to meet new people. 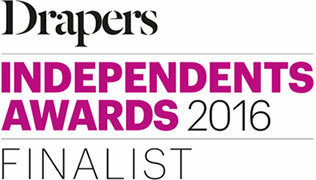 We want you to feel relaxed, confident and simply stunning when you walk into that event. 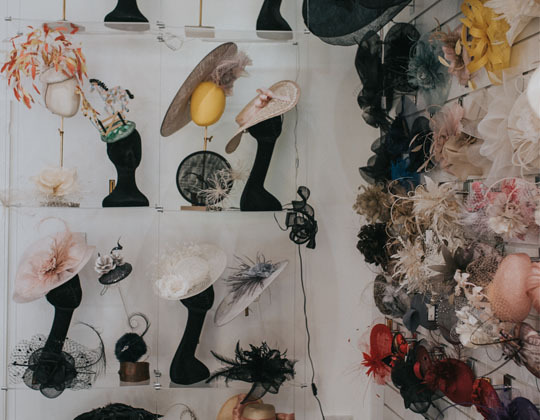 Every hat we make is a one-off piece, with at least 200 on offer at any given moment in our hat shop in Surrey. Beverley loves to design especially for you, but we are also happy to fit you with a ready-made piece designed with someone special like you in mind. 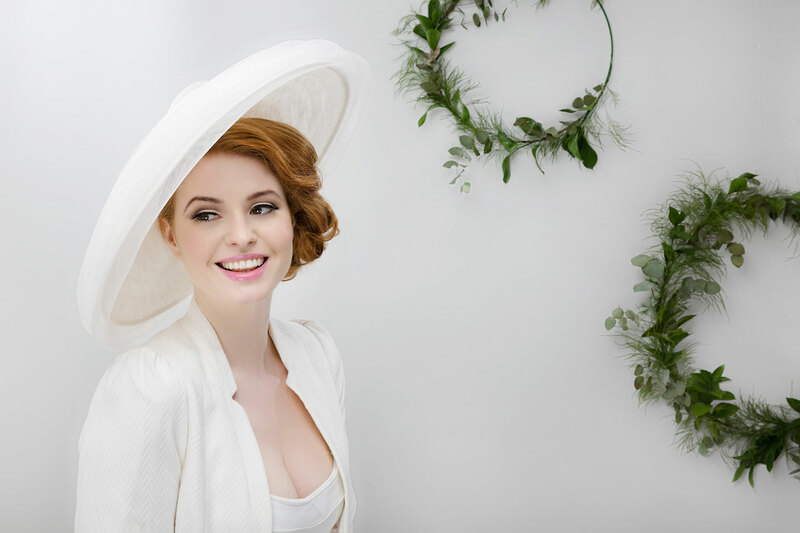 We love styling your complete look and pride ourselves on being top among mother of the bride shops in Surrey. 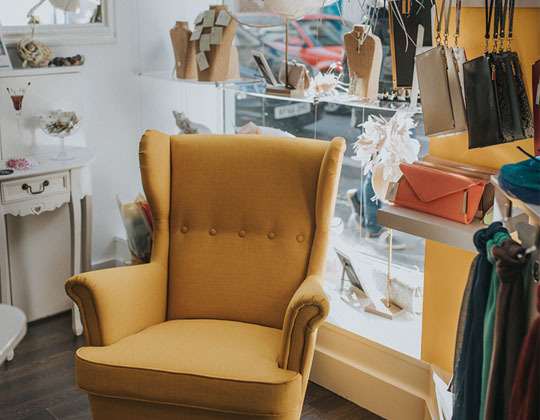 We have a wide array of accessories on offer and give the highest level of personalised service, including repairs, alterations and even business mentoring. We know how fun it is to make hats! 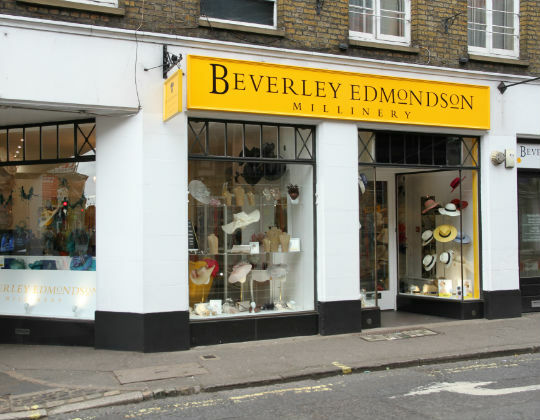 Beverley’s millinery classes and talks are a popular choice for hen parties, ladies’ luncheons, corporate away days and more. Sign up to receive our newsletter to find out what’s happening this month and beyond!